Well, I had a little more progression this week – kind of. We decided to three-man ICC 10. After the first five bosses or so, we decided to switch it to heroic mode. It was totally doable. 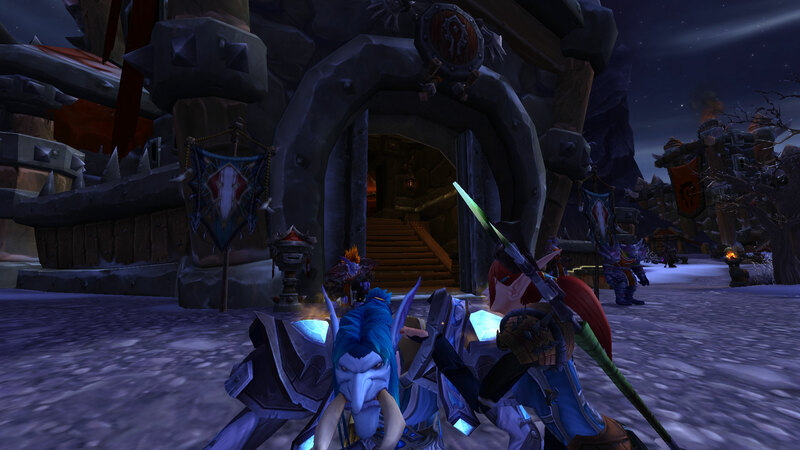 On Sindragosa, a fourth person joined us. Previously I was 11/12 ICC10H, but now I’m 12/12! It was nice to finally earn Bane of the Fallen King too! 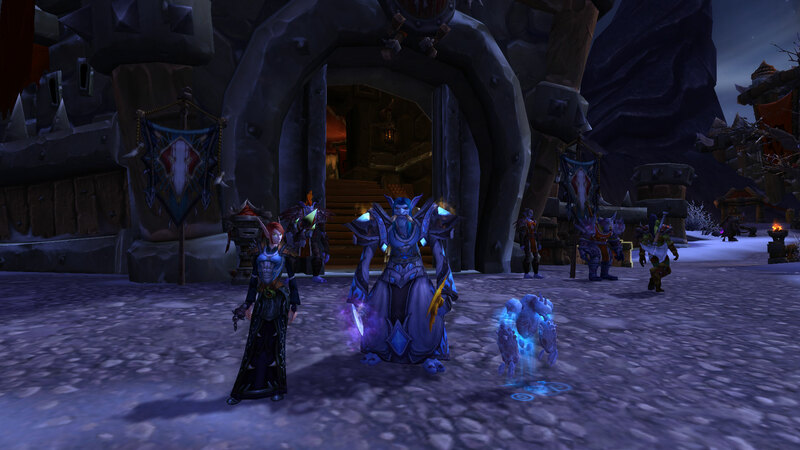 I also got a nice drop – Valius, Gavel of the Lightbringer. I was already transmogged into T10, so this went very well. It was a good night! 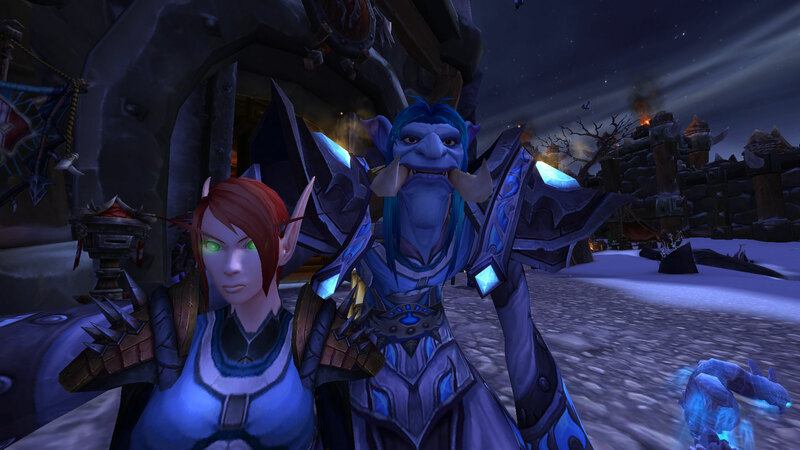 I had an absolutely terrific World of Warcraft weekend! I got a bunch of new achievements, did some raiding, and found a nice new mount! First, I earned Cataclysmically Epic! 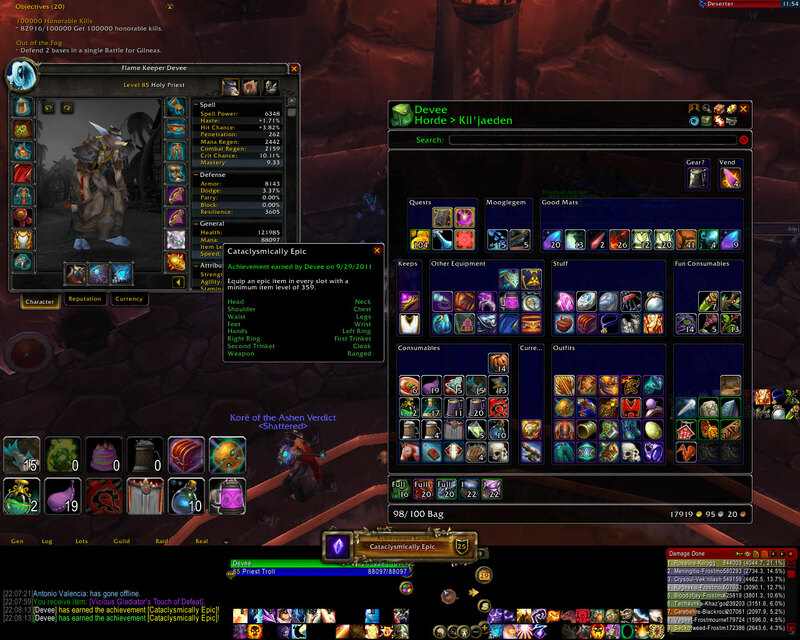 Sadly it was with my PVP set though. Still, I’m happy for the achievement and for the progress with my PVP set! 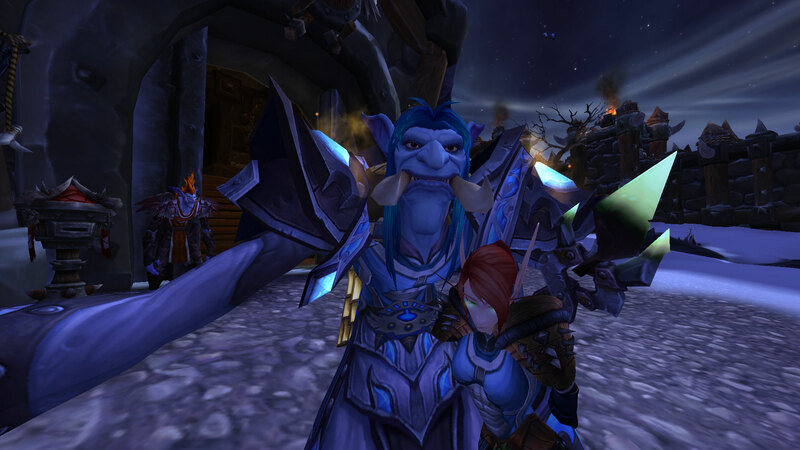 Next up, Mooglegem and I ran into Nat Pagle while working on our Molten Front dailies. He has a cute little turtle mount! 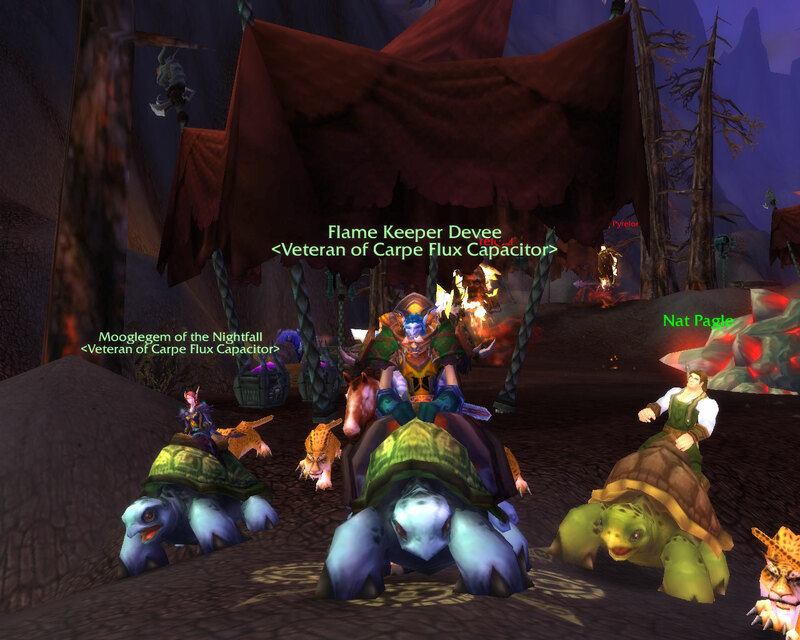 We have turtle mounts too, so of course we had to mount up with him for a photo shoot. 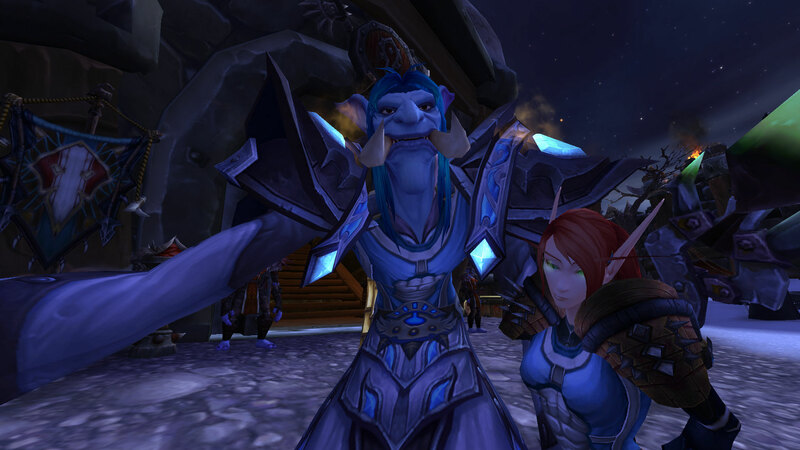 We look good together, don’t we? 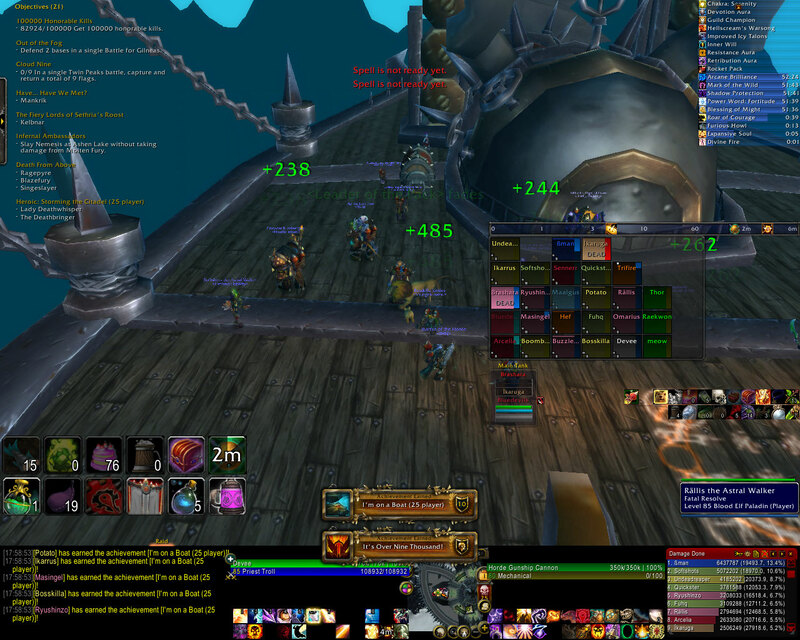 I found a group doing Icecrown Citadel 25-man in trade this weekend. 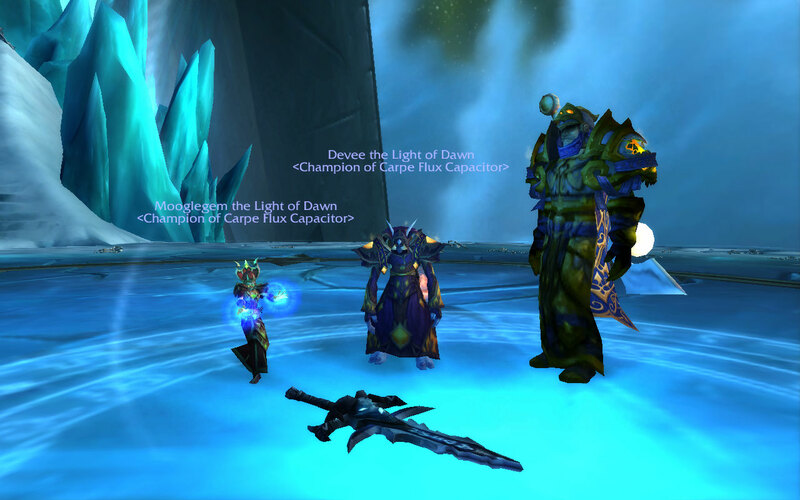 It was advertised as a heroic run, but we ended up doing some bosses on heroic and some on normal depending on the requirements of each fight’s achievement. I got a bunch of achievements, but I’m a little sad that we couldn’t have picked one route or the other. It would have been nice to either complete the meta, complete the raid on heroic, or at least get the title for heroic Lich King 25-man. I don’t mean to sound ungrateful though; it was a fantastic run, and I got a ton of achievements. 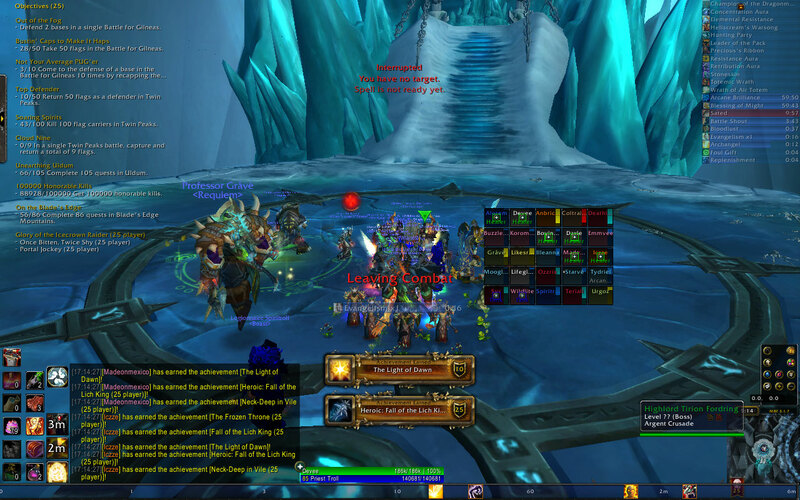 The only boss in 25-man that I had already done on heroic was the Gunship Battle. This run, we did Lord Marrowgar, the Gunship Battle, Deathbringer Saurfang, Festergut, Rotface, Blood-Queen Lana’thel, and Valithria Dreamwalker all on heroic. You’ll notice that no entire wing was one on heroic, haha. Still, that’s a lot of progress! We also earned the situational achievementw on Lord Marrowgar, Lady Deathwhisper, the Gunship Battle, Deathbringer Saurfang, which I already had, Festergut, Rotface, Professor Putricide, Sindragosa, and one, Been Waiting a Long Time For This, from the Lich King. We only missed the one on Valithria Dreamwalker and the second Lich King achievements. We also discovered that Tirion is a terrible raider. He doesn’t listen to directions. 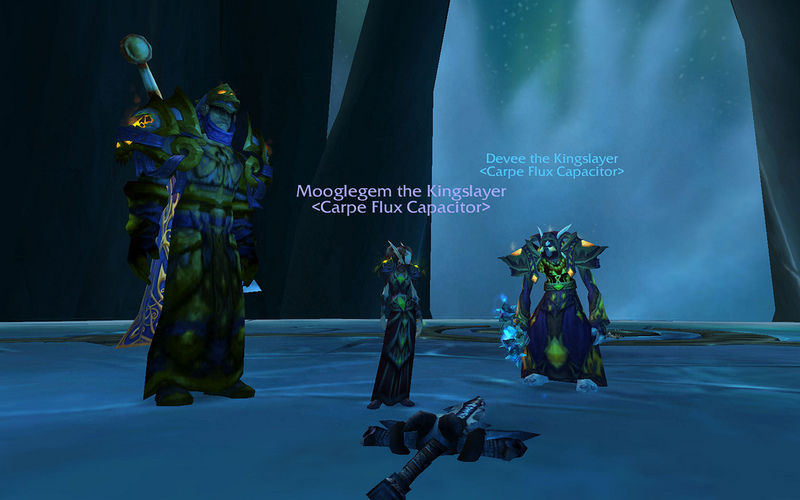 We realized we had screwed up the achievement after dropping Arthas to 10%. The raid leader instructed us to rez when the RP was finished and promptly jump off the side so we can wipe and reset the encounter. Now Tirion, when a raid leader calls for a wipe, you’re supposed to wipe! He just kept hacking away at Mr. Arthas. While we all knew that Arthas was powerless to fight back and that Tirion attacks him continually, we assumed that with the entire raid dead, the encounter would reset. Not so. 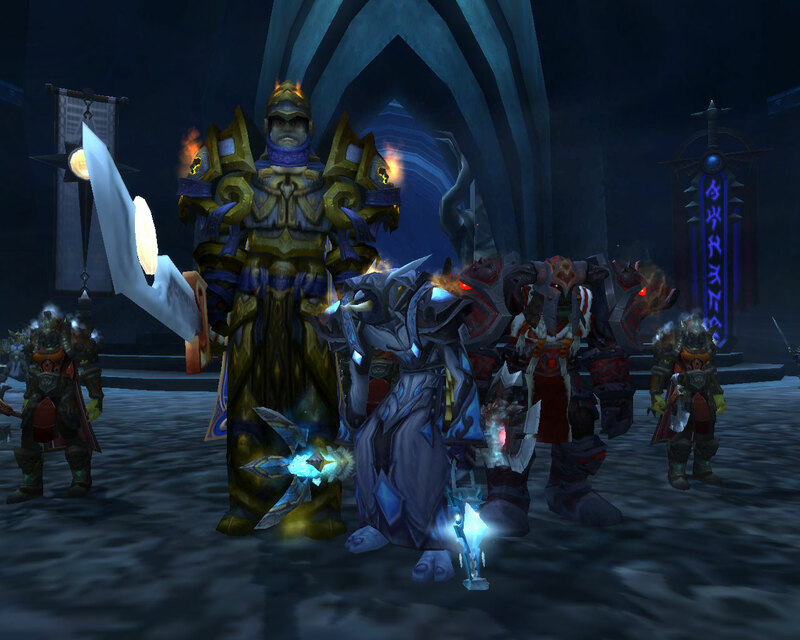 How hilarious would it be for a raid group to wipe, and then come back 20 minutes later to an empty encounter room because Tirion finished off Arthas? 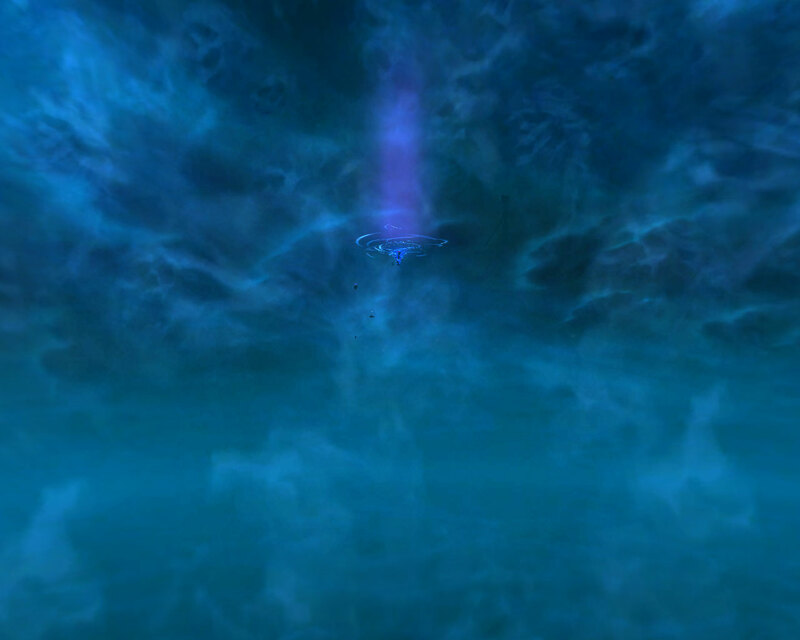 In my screenshot, you can just barely make out the spirits surrounding Arthas after I’ve flown far from the Frozen Thrown. 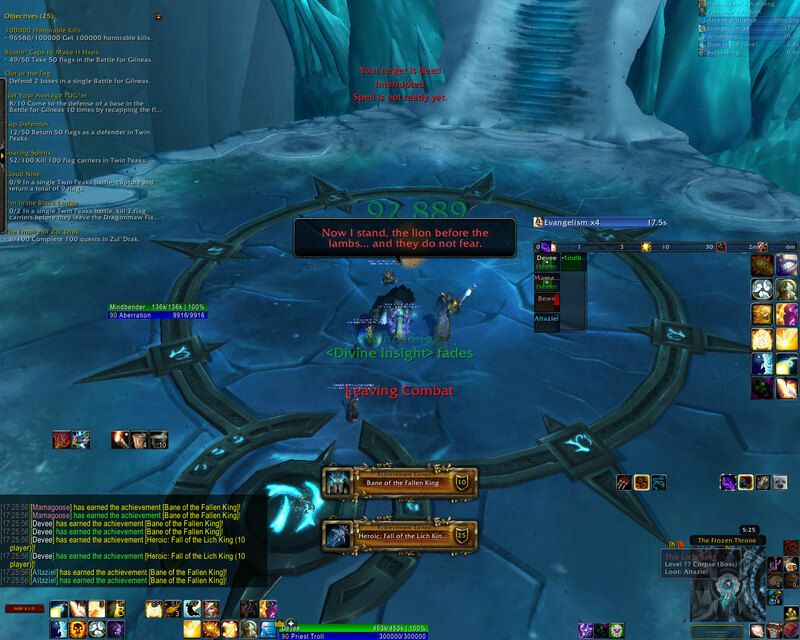 As you know, I already mentioned that we did earn one achievement on the Lich King, so you know it ended alright. Our raid leader opened a ticket, and the GM reset the encounter for us. I have no idea how the ticket got answered so quickly. It was at most two or three minutes. He mentioned earlier getting a ticket escalated. Again, no idea. To round out the weekend, I managed to win a Swift Brewfest Ram! I was pretty lucky! 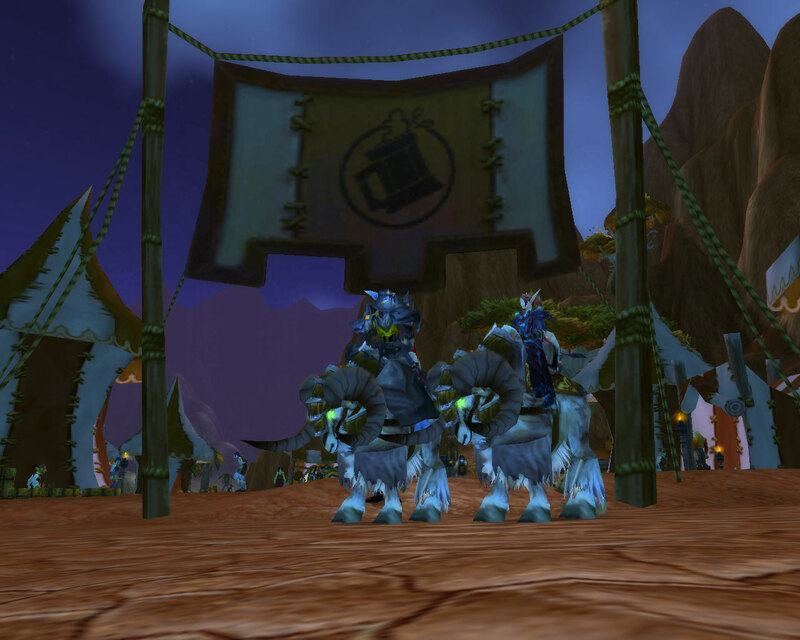 Now, just a couple more days available to try for the Swift Brewfest Kodo!